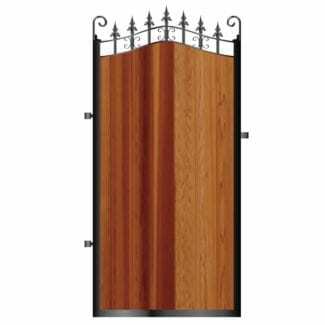 Welcome to our most popular range of gates – metal framed timber gates. We fabricate this premium gate range using the thickest frames on the market (50mm x 50mm). 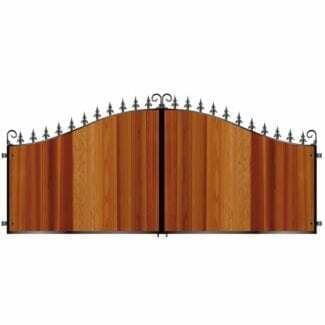 This results in not only a very substantial, premium gate appearance but also an extremely long lasting product which will not move or twist and is less likely to be damaged. All of our gates are galvanized as standard to ensure they have a lifetime rust free! We can also powder coat your gates if required. If you need help using our online metal framed timber gates pricing system please call us or get in touch. We are here to help! 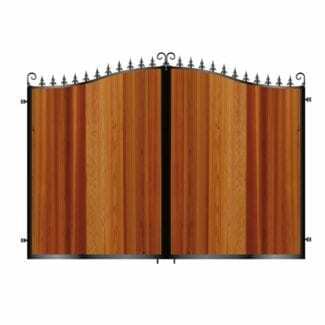 Our metal framed timber range includes: Estate gates, driveway gates, path/garden gates, railings & wall tops, sliding gates & bi-fold gates! 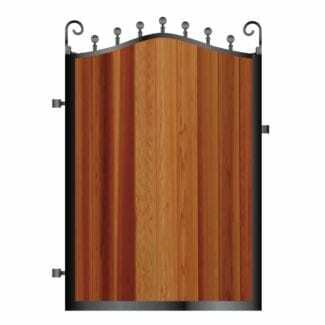 We can also supply this range without timber – metal frames only – get in touch for a custom quote.